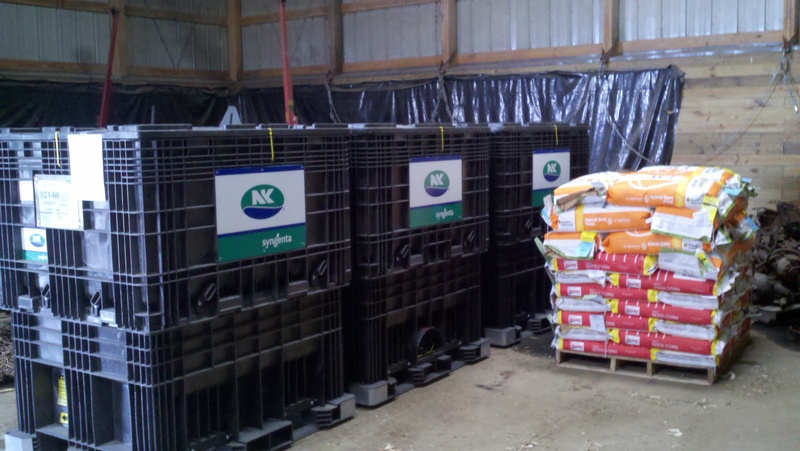 The black totes are soybean seeds. Each tote is 2,000 pounds. (Equal to 40 bags.) The bags on the pallet are seed corn. We don’t get our corn in totes, as we plant to many different varieties to make it handy to have 40 bag totes. Plus soybeans are planted at a much higher population (seeds per acre) than corn is, so having the big totes of soybeans just works better for us then for corn. 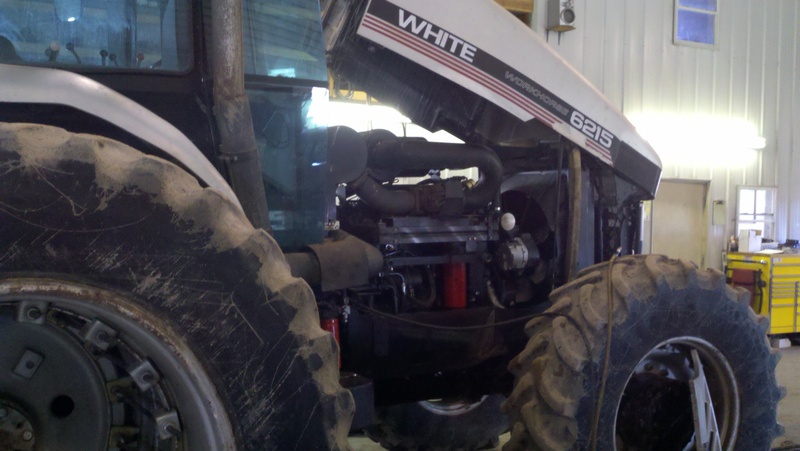 “Pushy,” one of our main tillage tractors, had a problem with the 4-wheel drive not working all the time. This entry was posted in Agronomy, Machinery and tagged corn, dairy farming, dairy farming today, family farm, farming, modern farming, production agriculture, soybeans, sustainable agriculture, Wisconsin dairy farming. Bookmark the permalink.